Listening Example: "Folsom Prison Blues"
Johnny Cash is a country singer and songwriter who is considered one of the most influential American musicians of the 20th century. 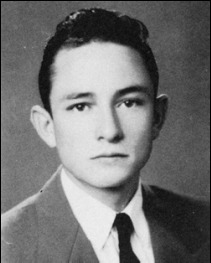 He was also an actor and an author. While he is mostly remembered as a country singer, his music also includes rock and roll, blues, folk music, gospel, and rockabilly--which combines country-western with rock. 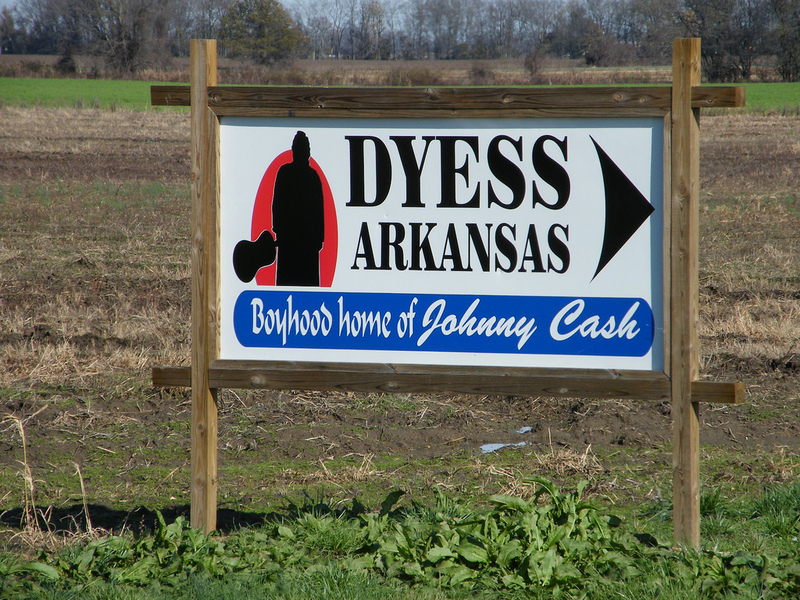 Johnny Cash was from Dyess in Northeast Arkansas. 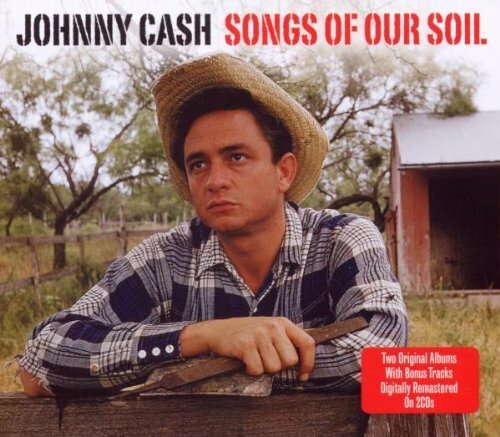 As a child, he would sing with his family while they were picking cotton in the fields. 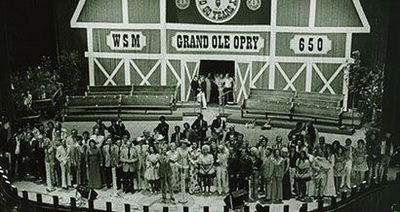 This was during the Great Depression in our country which took place during the 1930's. 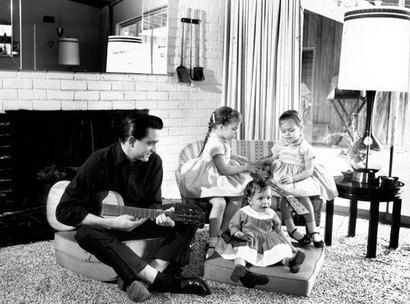 Cash and his family struggled through financial and personal problems along with other people facing similar difficulties. 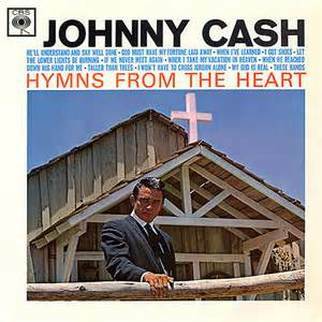 These hard times, and the hope that kept people going, inspired many of the songs Johnny would later write. Some of his most famous songs include “Folsom Prison Blues”, “I Walk the Line”, "Ring of Fire”, "Jackson", "A Boy Named Sue", and “Man in Black” . 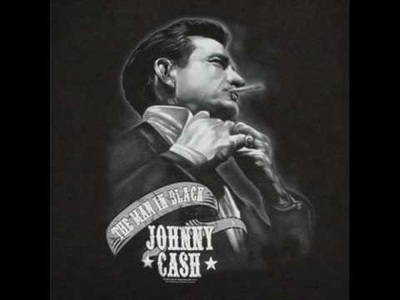 Listening Example: "Man In Black"
Johnny Cash is known for the unique “tone color” of his voice—a deep bass-baritone that people recognize when they hear it. 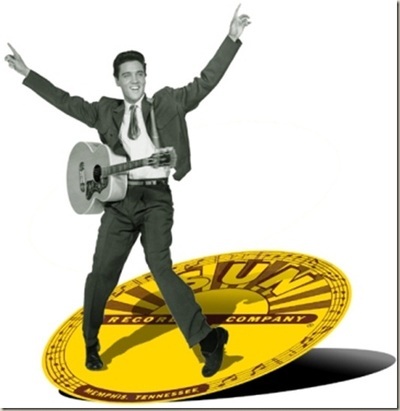 His appearance is one of being a humble and serious person with a gentle sense of humor. 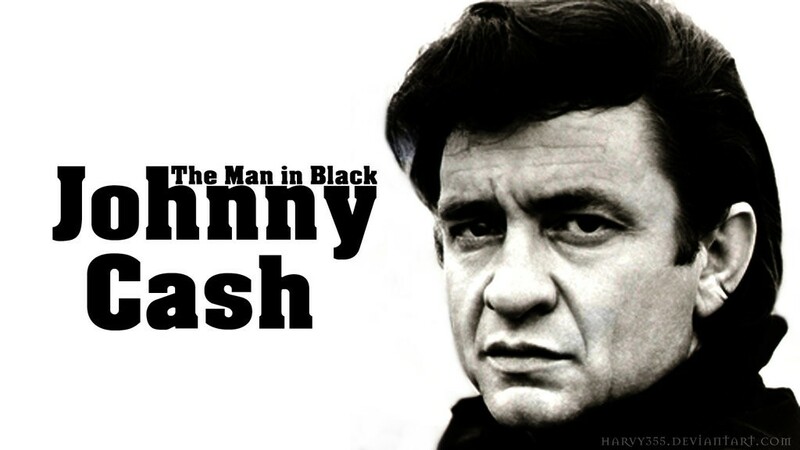 He is also known as “The Man in Black” because he is almost always seen wearing black clothes. As he once said, “it’s easier to keep black clothes looking clean when you’re on tour”. 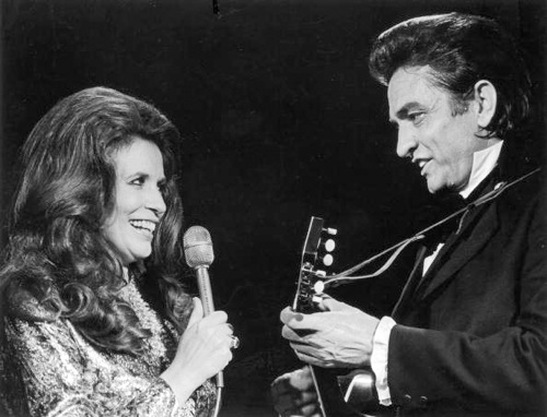 Cash always began his concerts with the simple statement, “Hello, I’m Johnny Cash”, followed by his song “Folsom Prison Blues”. 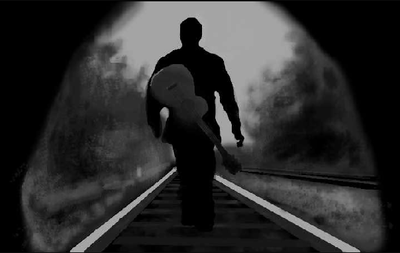 His music has themes of sorrow, the trials and tribulations of life, as well as stories of redemption, or being saved from life’s troubles. He also wrote humorous songs like “One Piece at a Time”; and the ballad of “A Boy Named Sue”. 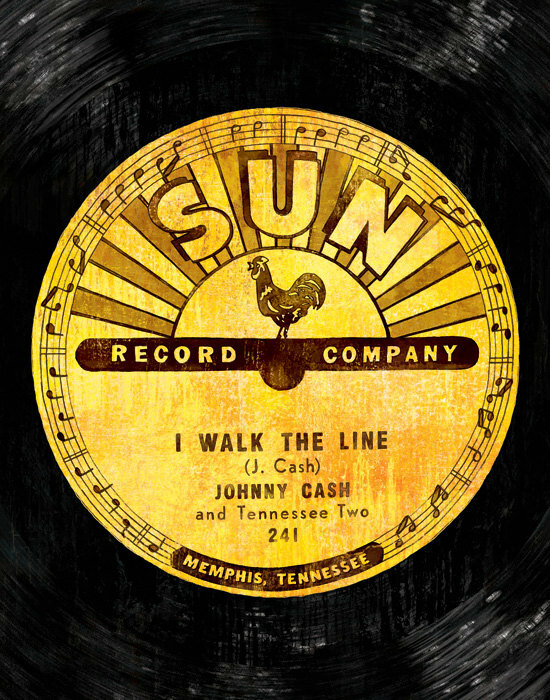 Because Johnny Cash performed so many different styles of music, he had the rare honor of being a member of several Halls of Fame in rock and roll, country music, and gospel music. 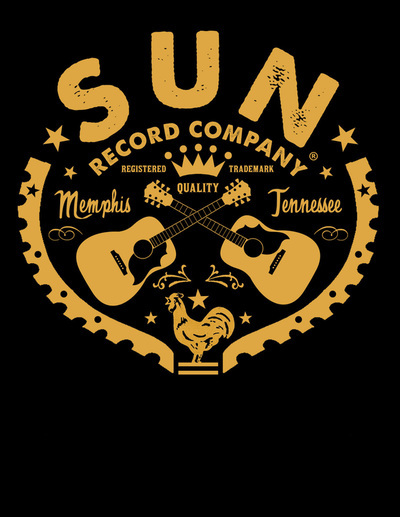 Johnny Cash started his recording career in the early 1950’s with Sun Records Recording Studio in Memphis, TN (where Elvis Presley also started out). Later he signed with Columbia Records, a major recording studio in the 1950’s and 1960’s. 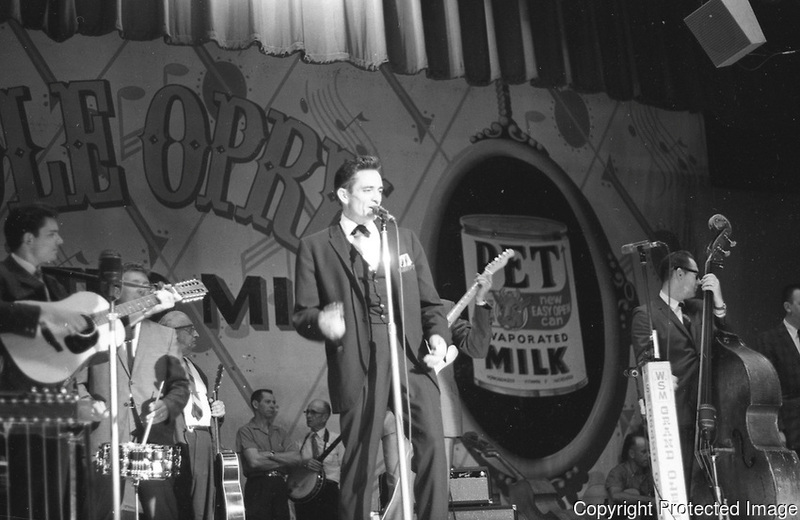 One day, Jerry Lee Lewis, Elvis Presley and Johnny Cash all happened to be at the studio for a little visit. 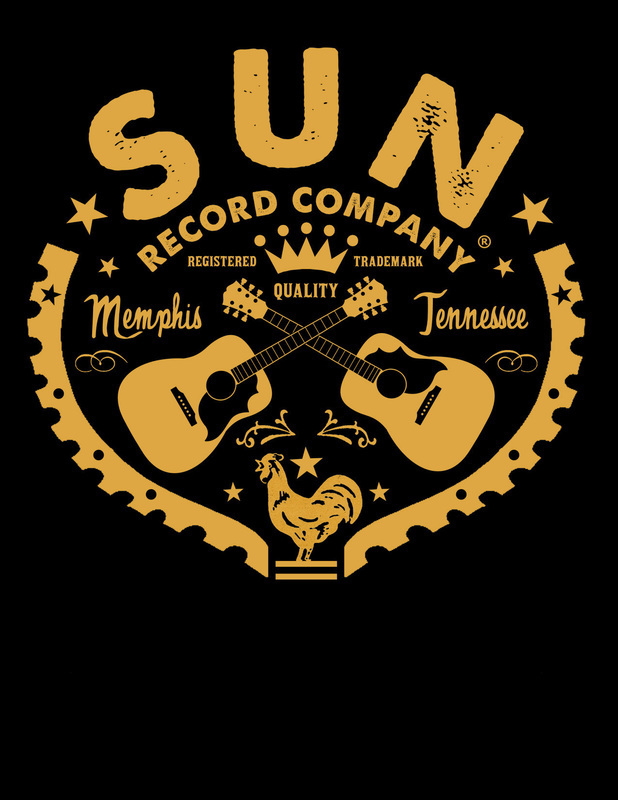 They all sat down with the studio’s owner, Sam Phillips, and had a jam session. A jam session is when musicians get together and just make music together. 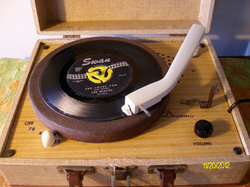 Today’s listening example is a recording of that jam session. 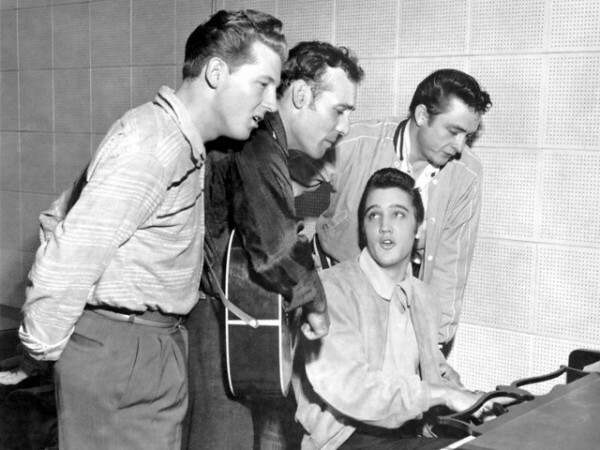 These four men together were jokingly called the Million Dollar Quartet. 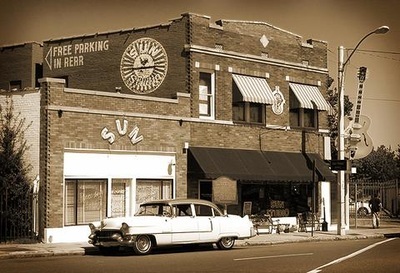 at an impromptu jam session at Sun Studios in Memphis, around 1956. 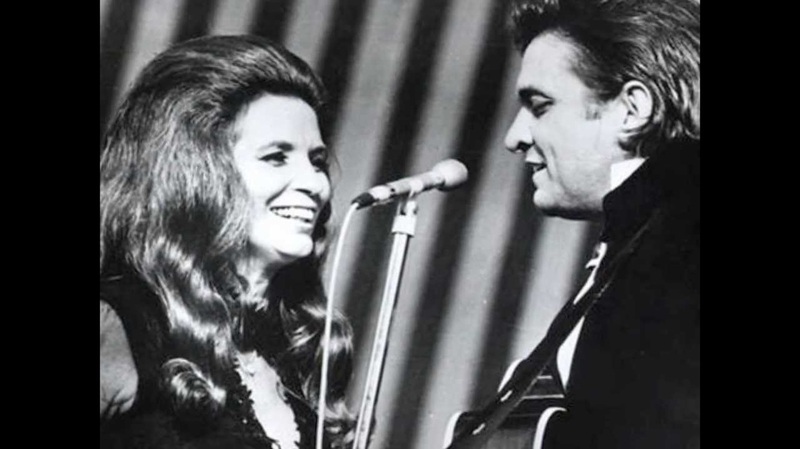 While performing at the Grand Ole Opry in Nashville, Cash met country singer June Carter backstage. 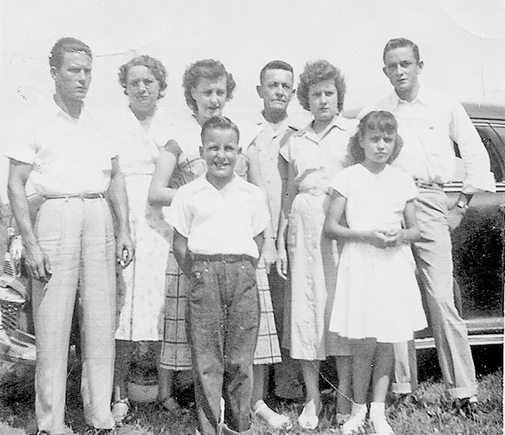 Thirteen years later, in 1968, they got married. They were married for 35 years during which they went on concert tours together and recorded duets together, including the hit song “Jackson”. Just a few months after June’s death in 2003, Johnny also died, from diabetes, and some said "from a broken heart". 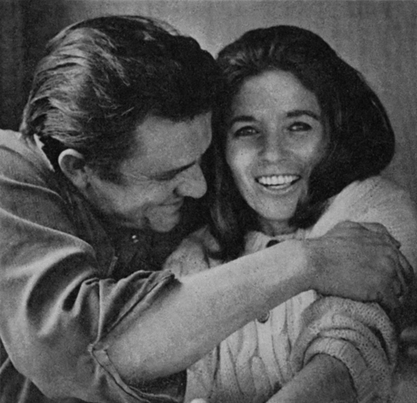 Their love story was portrayed two years later in the film I Walk the Line. 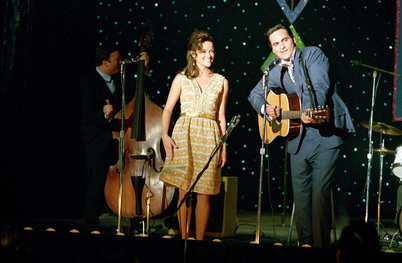 Actress Reese Witherspoon played June Carter Cash—winning an Academy Award for her portrayal—and Joaquin Phoenix starred her legendary husband. This song was performed the year Johnny and June married. 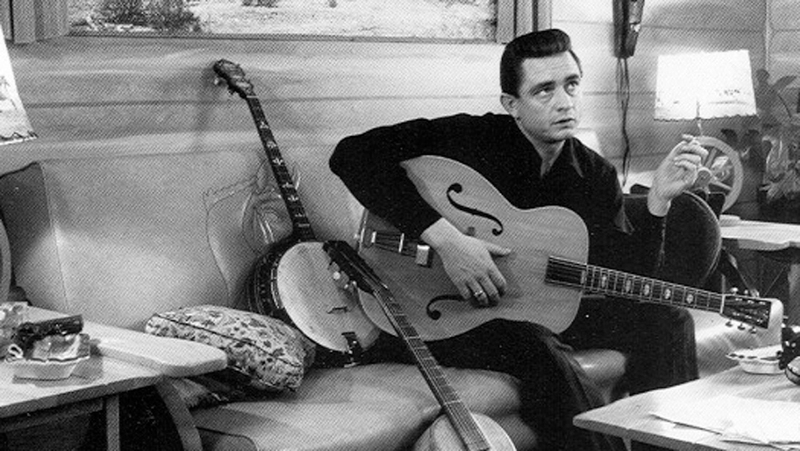 As Johnny Cash’s career was taking off in the late 1950s, Cash started drinking heavily and became addicted to different types of drugs. Friends noticed Johnny’s "nervousness" and strange behavior, but many ignored the warning signs of his worsening drug addiction. 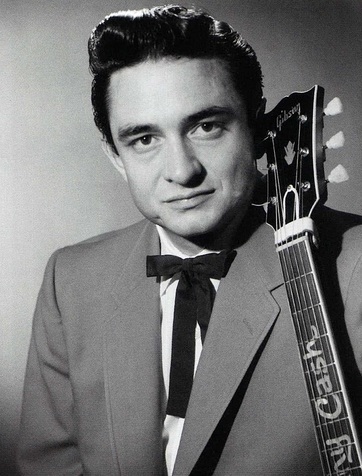 Although he was in many ways spiraling out of control, Cash's creativity was still delivering hit songs that reached #1 on the country and pop charts. 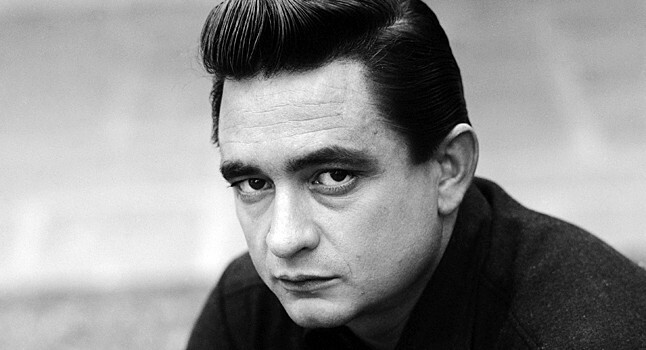 In the late 1960’s Cash rediscovered his Christian faith and spent the rest of his life getting help in drug and alcohol treatment centers. 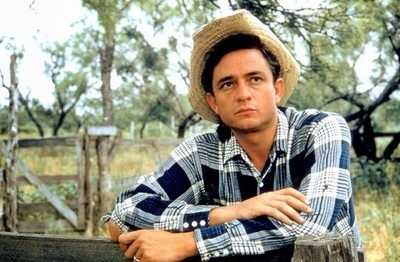 While Cash’s appearance sometimes gave the impression of being “a rough outlaw”, he never spent time in prison. But he felt great compassion for prisoners and began performing concerts at prisons starting in the late 1950s. 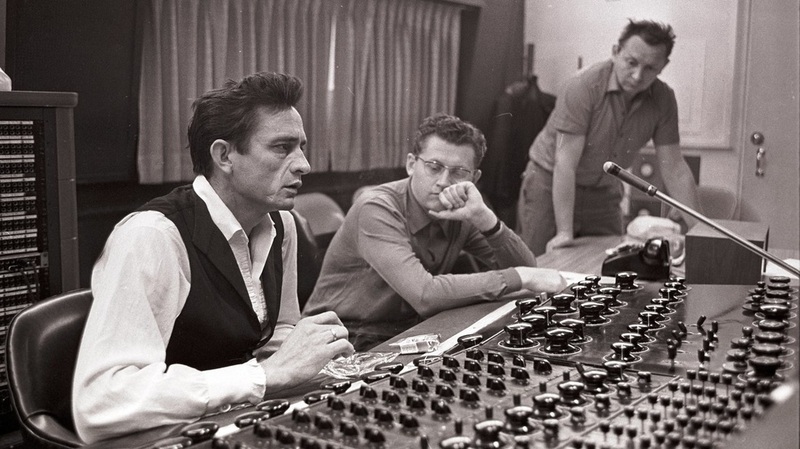 Cash working at an electronic sound board while recording "Bitter Tears". The 4th annual Johnny Cash Music Festival was presented August 15, 2014 at the Convocation Center by Arkansas State University. 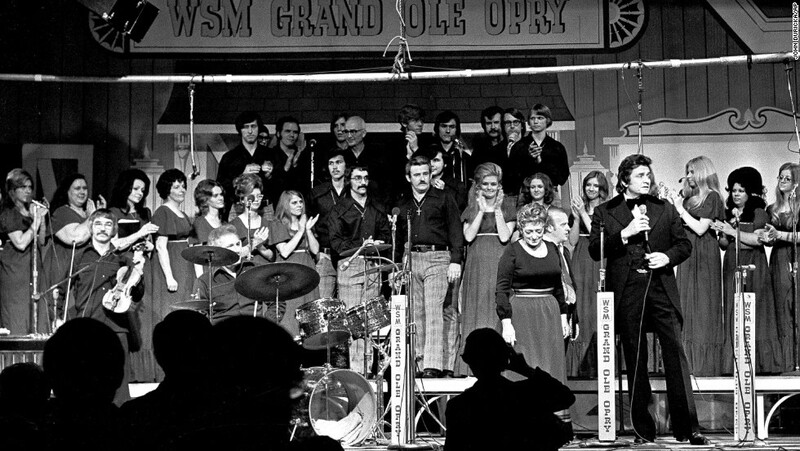 This sell-out concert was to raise money to benefit the Johnny Cash Boyhood Home Project in Dyess, Arkansas. 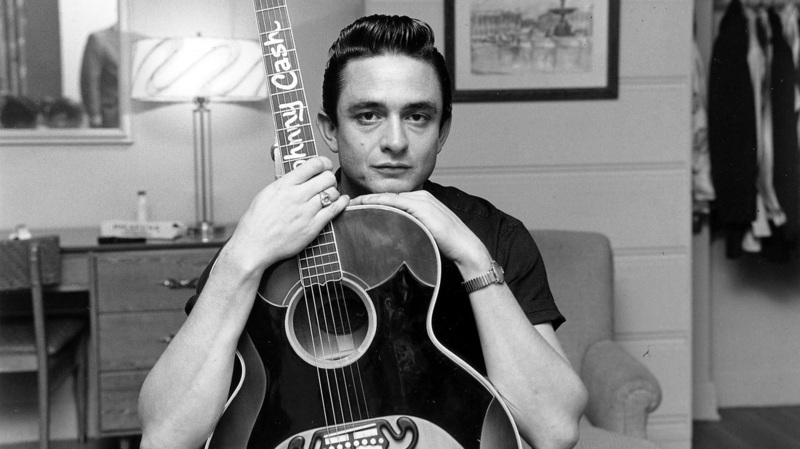 This project will establish a museum to honor the Johnny Cash legacy as well as restoring his boyhood home and property. ASU now owns the home, and has raised $1.9 million toward its goal of $3.2 million for the Johnny Cash Boyhood Hometown Project. Guest performers at the festivals have included daughter Rosanne Cash, Tommy Cash, Reba McIntire, Loretta Lynn, Willie Nelson, Vince Gill, the Gatlin Brothers, Kris Kristofferson, and other famous performers. 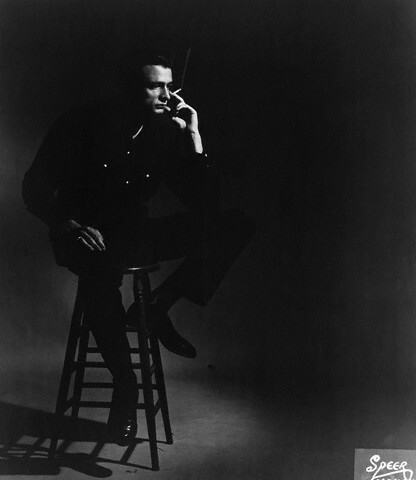 Last year the Johnny Cash Forever postage stamp was created. 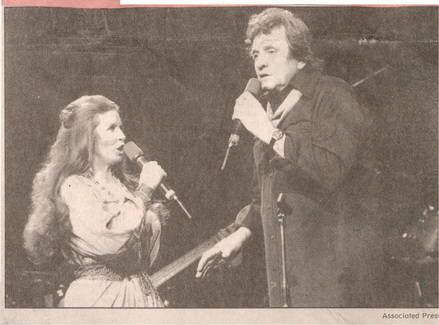 His daughter, Rosanne has continued his legacy of country singing. 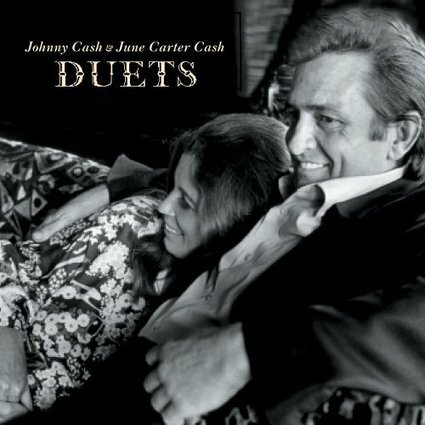 ​When an artist sings a song that was already performed by another musician, it is called a cover. Johnny Cash’s last published song was a cover of a song by Nine Inch Nails. 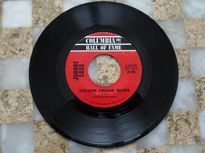 This song, titled “Hurt,” became a world wide hit. 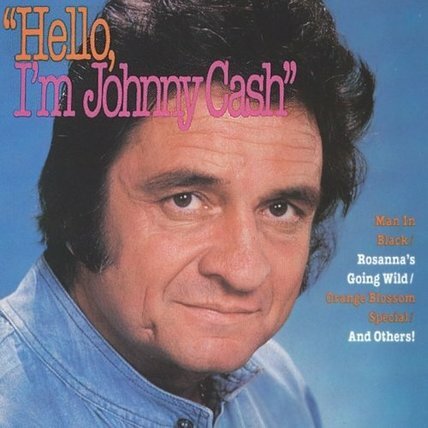 This was the last music video Johnny ever recorded.